Rinse and dry the apples. Quarter and core them, then slice finely. Remove the rind from the Camembert, then slice finely. Preheat the oven to 190°C (th. 6-7). Unroll the pastry on a baking tray. 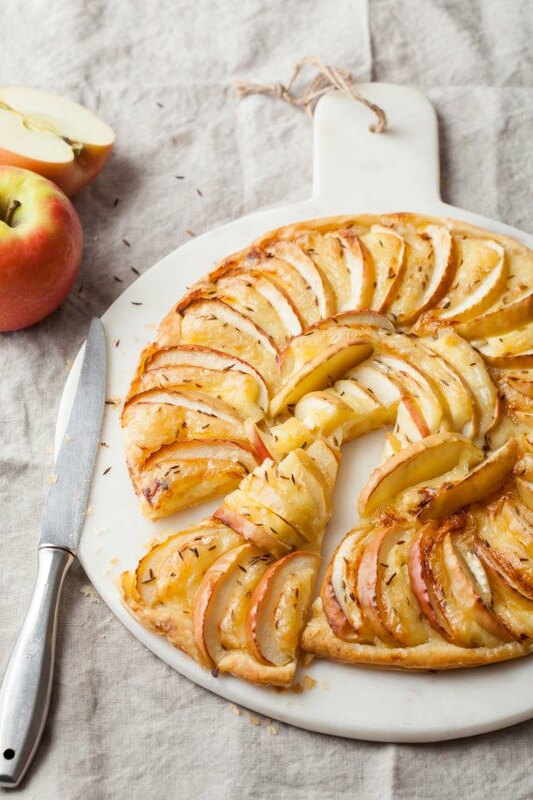 Arrange the slices of apple and Camembert alternately in a circle. Sprinkle with cumin then bake for 30 mins. Serving suggestion: serve as a starter or with pre-dinner drinks. Tip: for really crispy pastry, move the baking sheet to the floor of the oven about 5 minutes before taking it out to cool.